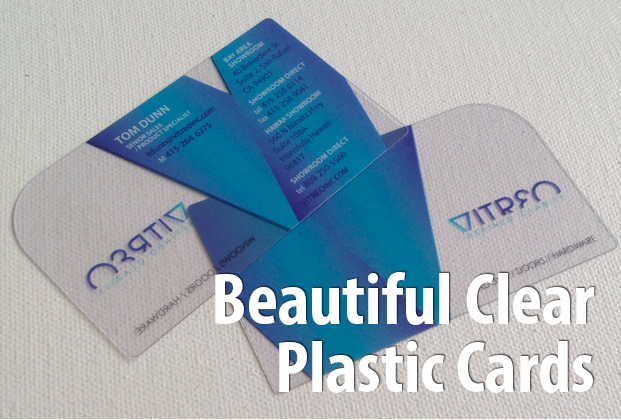 Both our thick 30mil (credit card thickness) and 12mil (lightweight) plastic cards make excellent plastic business cards that really stand out! They are printed with vibrant full color on both sides, with elegant rounded corners. 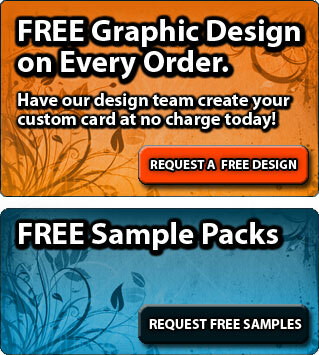 Our design team will help you put together a stunning full color plastic business card complete with photos and imagery. Plastic business cards really stand out as something special and unique that most customers and clients haven't seen used as a business card before... don't be like everyone else, make a statement! 30mil is credit card thickness. We also offer 20mil and 12mil. 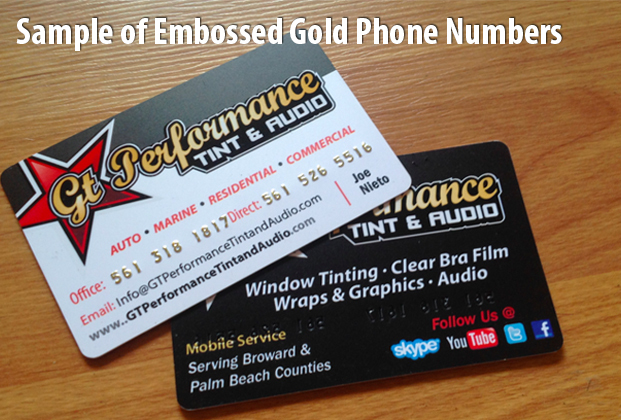 Plastic business cards are an excellent choice for a more durable type of card. These days there are tons of cheap options for business cards... but a lot of these cheap full color cards, often tear, bend, wrinkle and damage easily because of the flimsy paper they are printed on. This is NEVER an issue with a high quality plastic business card! 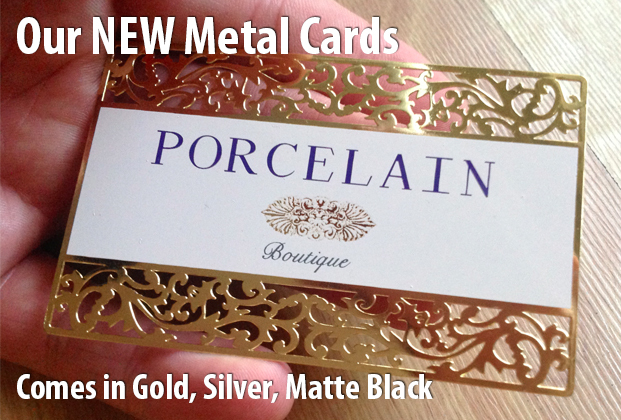 Our 12mil cards, especially make a great alternative to traiditional paper cards. They are still thin, and very easily carried in a large quantity. 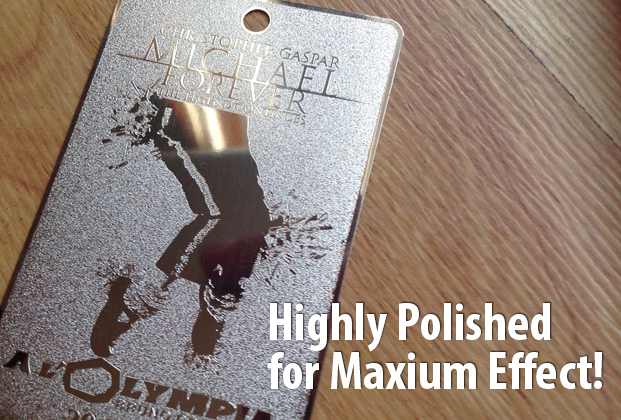 The plastic cards are super shiny, and impressive to the eye and touch. 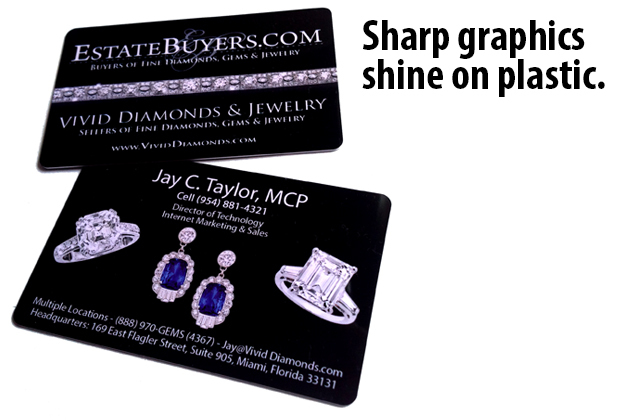 Your clients will also tend to hold onto a plastic business card longer than your typical paper card! Even more so if your plastic business card actually doubles as a plastic gift card, or has some type of promotion that your clients will value in the future!